“This is the report that Ushahidi did not want you to see.” Or so the rumors in certain circles would have it. Some go as far as suggesting that Ushahidi tried to burry or delay the publication. On the other hand, some rumors claim that the report was a conspiracy to malign and discredit Ushahidi. Either way, what is clear is this: Ushahidi is an NGO that prides itself in promoting transparency & accountability; an organization prepared to take risks—and yes fail—in the pursuit of this mission. The report in question is CrowdGlobe: Mapping the Maps. A Meta-level Analysis of Ushahidi & Crowdmap. Astute observers will discover that I am indeed one of the co-authors. Published by Internews in collaboration with George Washington University, the report (PDF) reveals that 93% of 12,000+ Crowdmaps analyzed had fewer than 10 reports while a full 61% of Crowdmaps had no reports at all. The rest of the findings are depicted in the infographic below (click to enlarge) and eloquently summarized in the above 5-minute presentation delivered at the 2012 Crisis Mappers Conference (ICCM 2012). Back in 2011, when my colleague Rob Baker (now with Ushahidi) generated the preliminary results of the quantitative analysis that underpins much of the report, we were thrilled to finally have a baseline against which to measure and guide the future progress of Ushahidi & Crowdmap. But when these findings were first publicly shared (August 2012), they were dismissed by critics who argued that the underlying data was obsolete. Indeed, much of the data we used in the analysis dates back to 2010 and 2011. Far from being obsolete, however, this data provides a baseline from which the use of the platform can be measured over time. We are now in 2013 and there are apparently 36,000+ Crowdmaps today rather than just 12,000+. To this end, and as a member of Ushahidi’s Advisory Board, I have recommended that my Ushahidi colleagues run the same analysis on the most recent Crowdmap data in order to demonstrate the progress made vis-a-vis the now-outdated public baseline. (This analysis takes no more than an hour a few days to carry out). I also strongly recommend that all this anonymized meta-data be made public on a live dashboard in the spirit of open data and transparency. Ushahidi, after all, is a public NGO funded by some of the biggest proponents of open data and transparency in the world. Embracing open data is one of the best ways for Ushahidi to dispel the harmful rumors and conspiracy theories that continue to swirl as a result of the Crowd-Globe report. 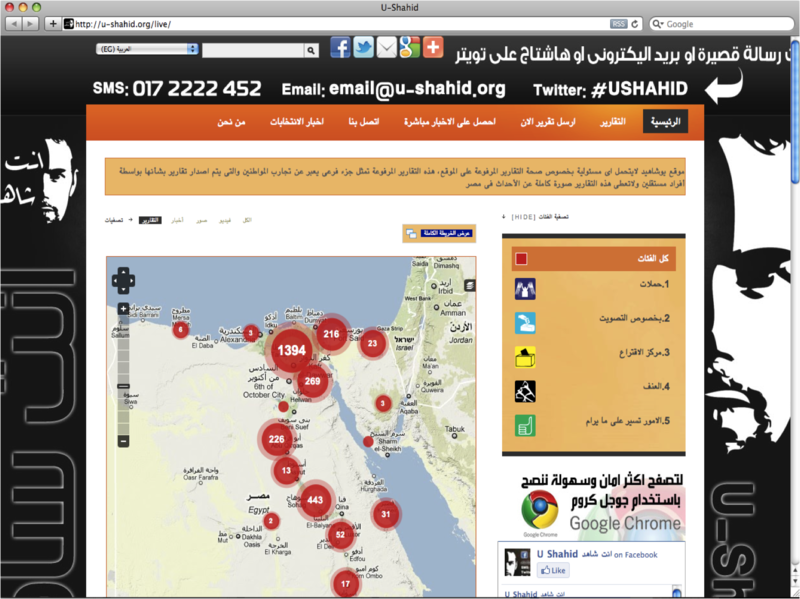 So I hope that my friends at Ushahidi will share their updated analysis and live dashboard in the coming weeks. If they do, then their bold support of this report and commitment to open data will serve as a model for other organizations to emulate. If they’ve just recently resolved to make this a priority, then even better. In the meantime, I look forward to collaborating with the entire Ushahidi team on making the upcoming Kenyan elections the most transparent to date. As referenced in this blog post, the Standby Volunteer Task Force (SBTF) is partnering with the good people at PyBossa to customize an awesome micro-tasking platform that will significantly facilitate and accelerate the categorization and geo-location of reports submitted to the Ushahidi platform. So I’m working hard with both of these outstanding teams to make this the most successful, large-scale microtasking effort for election monitoring yet. Now lets hope for everyone’s sake that the elections remain peaceful. Onwards! My doctoral dissertation compared the use of live mapping technology in Egypt and the Sudan during 2010. That year was the first time that Ushahidi was deployed in those two countries. 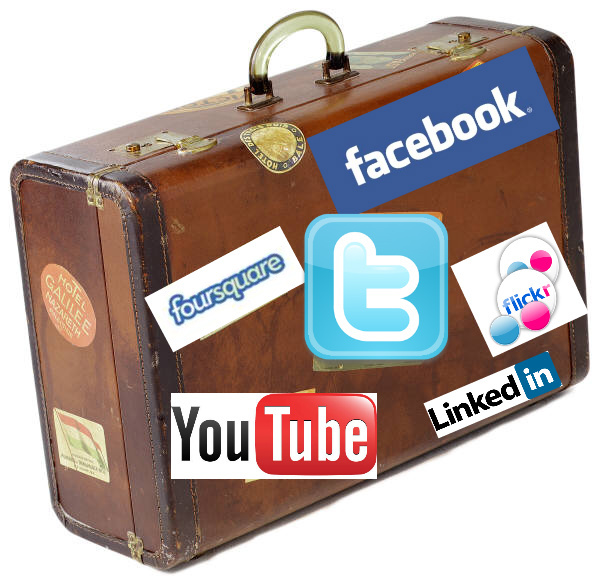 So it is particularly interesting to see the technology used again in both countries in 2012. 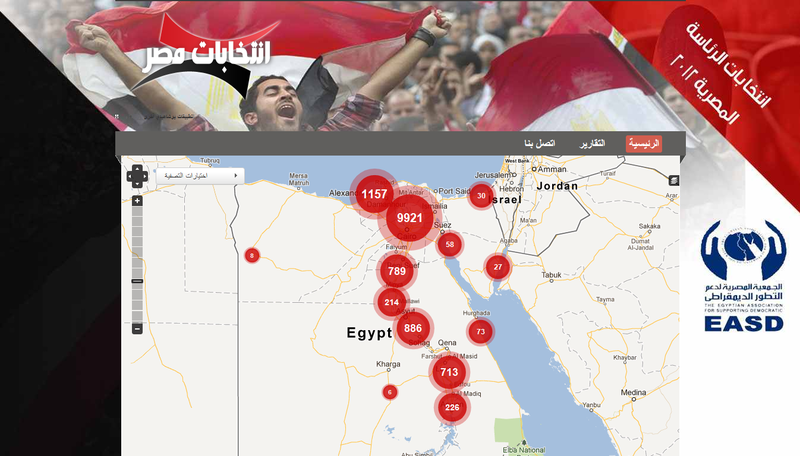 Sudanese activists are currently using the platform to map #SudanRevolts while Egyptian colleagues have just used the tool to monitor the recent elections in their country. Contrast this situation with how Egyptian activists struggled to keep their Ushahidi project alive under Mubarak in 2010. Last week, the team behind the current live map was actually interviewed by state television (picture above), which was formerly controlled by the old regime. Interestingly, the actual map is no longer the centerpiece of the project when compared to the U-Shahid deploy-ment. The team has included and integrated a lot more rich multimedia content in addition to data, statistics and trends analysis. Moreover, there appears to be a shift towards bounded crowdsourcing rather than open crowd-sourcing as far as election mapping projects go. These two live mapping projects in Egypt and the Sudan are also getting relatively more traction than those in 2010. Some 17,000 reports were mapped in this year’s election project compared to 2,700 two years ago. Apparently, “millions of users logged into the [Egypt Project Elections] site to check the outcome of the electoral process,” compared to some 40,000 two years ago. Sudanese activists in Khartoum also appear to be far better organized and more agile at leverage social media channels to garner support for their movement than in 2010. Perhaps some of the hard lessons from those resistance efforts were learned. This learning factor is key and relates to an earlier blog post I wrote on “Technology and Learning, Or Why the Wright Brothers Did Not Create the 747.” Question is: do repressive regimes learn faster or do social movements operate with more agile feedback loops? Indeed, perhaps the technology variable doesn’t matter the most. As I explained to Newsweek a while back, “It is the organiza-tional structure that will matter the most. Rigid structures are unable to adapt as quickly to a rapidly changing environment as a decentralized system. Ultimately, it is a battle of organizational theory.” In the case of Egypt and Sudan today, there’s no doubt that activists in both countries are better organized while the technologies themselves haven’t actually changed much since 2010. But better organization is a necessary, not sufficient, condition to catalyze positive social change and indirect forms of democracy. Pierre Rosanvallon (2008) indentifies three channels whereby civil society can hold the state accountable during (and in between) elections, and independent of their results. Live maps and crowdsourcing can be used to monitor and publicize the behavior of politicians. The capacity to mobilize resistance and bring officials to judgment may require a different set of strategies and technologies, however. Those who don’t realize this often leave behind a cemetery of dead maps.